This was an image I put together in June of 2000 for my "Image Manipulation" class. We were asked to create poster advertising a movie, game, or other media. I decided to do poster advertising The Legend of Zelda Ocarina of Time. 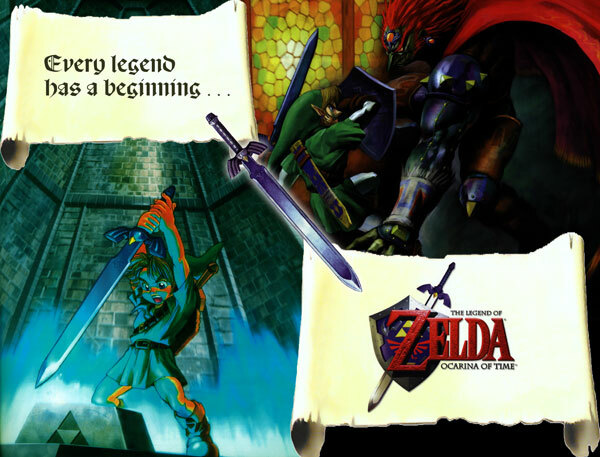 The Legend of Zelda series has always been my favorite, and the most recent game at the time was Ocarina of Time, which is still considered by many to be the best in the series (I think Twilight Princess surpassed it, but that's just me). I used images from the players guide, and hope you like the result.